Is this as far over as you pan your guitars? I listen to a LOT of mixes on a weekly basis and after a while, some consistencies have become apparent. One big one is that a lot of mix engineers are afraid to use their side channels. Big, double-tracked rock guitars but panned in towards the center fighting with the vocal and snare. Screw that noise, let your vocal (and kick and bass and snare) shine and use hard panning! 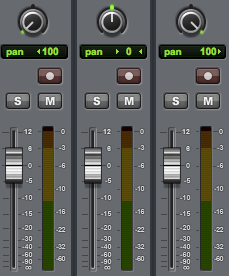 Today’s Quick Mixing Tip: Use LCR (left, center, right) mixing. It’s such an easy way to create horizontal space in a mix that you’ll want to use it every time (at least I do). Almost every single track in the mix gets either hard panned left, panned dead center, or hard panned right. There are plenty of small exceptions (toms come to mind here) but on the whole, 95% of your tracks will be LCR. You may have to work a bit harder to create vertical space between the instruments, but your mixes will benefit as a result anyways. I’ve found it gives much more clarity to the all-important center channel where your kick/snare/bass/vocal is living. 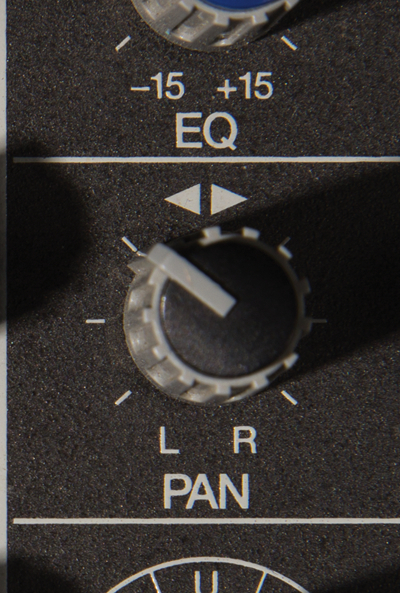 If your mix has a tight and focused kick/snare/vocal, your mix is already 80% amazing. Obviously LCR panning is not a hard and fast rule. Plenty of mixers create spectacular mixes without it, so experiment with it and see what works for your style. But for my mixes, once I went LCR, I never went back!